What you need to know… Believe it or not, the price is actually one of your prospects last considerations. Human nature says that no matter who buys what you sell, they will always want “the best deal.” That doesn’t mean the lowest price, but it does mean they want the most “VALUE” for the price they pay. The perception that your product or service offers extraordinary value controls their final decision. Why you need to know this… The key is to create “extraordinary value” as it relates to what you sell. In fact, if you do this, you can even charge a much higher price, be providing the perception of value justifies that price. 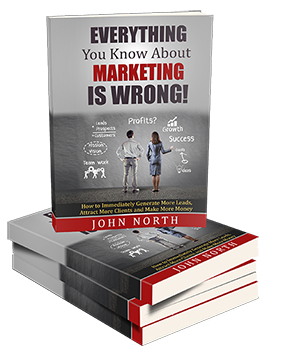 Unfortunately, most business owners don’t have a clue how to create “extraordinary value,” and therefore don’t offer it to their prospects, costing themselves massive market share and a boatload of lost revenue. To create value, a business must “innovate.” You must understand the things your clients want from your product or service, and then use innovative ideas and solutions to either remove the pain and frustration they normally associate with what you sell or enhance the benefits they receive from using it. For example, the daycare mom who feels frustrated and worried when she drops off her child at daycare because she doesn’t know how the child is being cared for finds tremendous relief and peace of mind (extraordinary value) when the daycare installs Web Watch… a 24 camera surveillance system that allows parents to view their child online, anytime. The cost to you if you fail to act… If you fail to create “extraordinary value,” then you look like, feel like and smell like your competition. You will be forever doomed to compete with them on price, and when you’re forced to compete on price, you have just lost the battle. There will always be someone willing to undercut your price… ALWAYS! By innovating your business, you begin to separate your business from your competition. You begin to eliminate your competition from the minds of your prospects… and you will have your prospects literally saying to themselves that “I would be an absolute fool if I bought this from anyone else.” Innovation attracts your “ideal” clients to your business. These are the clients that will buy more from you at premium prices. They will spend more money and buy from you over longer periods of time. Your revenue and profits begin to skyrocket as you begin to add unprecedented market share. Look for ways to “innovate” your business and do so in such a way that you create extraordinary value in the minds of your prospects. Adding Value In today’s competitive environment it’s a foolhardy business owner who thinks that, by keeping a close eye on the competition and following the same approach of a seemingly successful competitor, they will have a similarly successful business. If you want to stand out from the crowd you need to fully grasp and implement the concept of adding value to your sales propositions. Adding value to a sales proposition can be as simple as ensuring your staff is 100% in T.O.U.C.H. with your clients: • Truthful • Open • Understanding • Caring • Honest The greater the perceived value of a product or service, the greater the amount you can charge for it and the greater value it will have in the eyes of your prospects and current clients. Adding value simply means increasing the perceived value of what you’re offering the marketplace.